Whether you require a simple stock slotted container or a telescopic top and bottom box, CORAL PACKAGING will help you find the right box for your products. 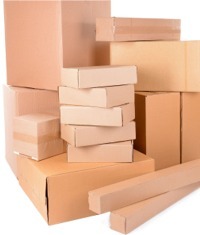 We supply a great range of corrugated boxes from stock items to custom made containers such as die cut boxes, telescopic boxes, top and bottom trays, pads, dividers, and more. Please click here for a printable list of our corrugated stock boxes made out of 100% recycled post-consumer products (pdf format). CORAL PACKAGING is the right place. 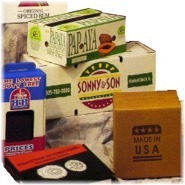 With direct-print or litho-lamination is guaranteed that your box will attract the eyes of potential buyers. Are you seeking a great visual impact for your products? 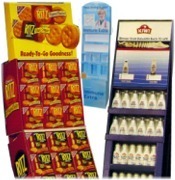 Our stock or custom designed P.O.P displays will fulfill your business needs. For eye catching displays we can add the power and intensity of litho lamination or the depth of screen printing. 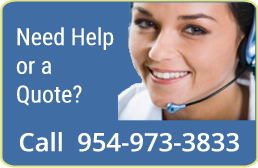 Do you need more information about our line of corrugated products?